Saikawa returned to Japan without meeting Renault's Bollore. TOKYO -- Nissan, contrary to earlier reports, said CEO Hiroto Saikawa had held a one-on-one meeting with the acting boss of its automaking partner Renault during talks between the alliance in Amsterdam this week. Nissan said in a statement on Thursday that Saikawa characterized the talks with Renault Deputy CEO Thierry Bollore as "positive" and "productive." The Japanese automaker remained ready to directly share the results of its in-house investigation into alleged financial misconduct by ousted chairman Carlos Ghosn with its French partner, Nissan said. Tensions have risen between Nissan and Renault since Ghosn's arrest in Japan over allegations he understated his salary at Nissan where he was ousted as chairman while Renault has kept him on as chairman and CEO. Ghosn denies the allegations, his Japanese lawyer has told other media. Earlier this week, Saikawa said he would like to share the investigation details with Renault executives. Sources familiar with the matter say Nissan has briefed Renault lawyers on its findings relating to Ghosn's alleged misconduct, although Renault directors have yet to be given access to the full information. 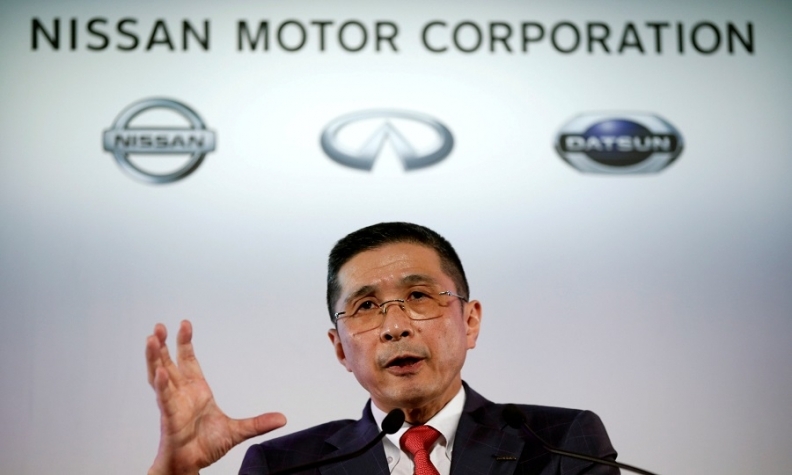 The scandal has shaken the partnership between Nissan, Renault and Mitsubishi Motors, with Saikawa calling for changes to weaken Renault's control over Nissan. Nissan has shunned demands from Renault to hold a shareholder meeting which would enable the French automaker to weigh in on Nissan's selection of Ghosn's replacement and other executive positions. Renault owns 43.4 percent of Nissan, which holds a 15 percent stake in its French parent but has no voting rights. Nissan owns 34 percent of Mitsubishi. Ghosn was charged in Japan last week alongside Nissan board member Greg Kelly and Nissan itself over their failure to declare $43 million in deferred income. Ghosn and Kelly remain in custody and have had limited opportunity to respond to the allegations or defend themselves publicly.